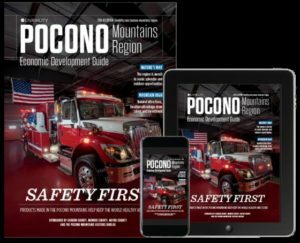 The Pocono Mountains Region Economic Development Guide is an integral part of our strategy to market the region to a national audience for talent attraction and business investment. This joint effort of Monroe County, Carbon County, Wayne County and the Pocono Mountains Visitors Bureau is a continuous expansion of our digital marketing efforts. Working with Livability Media we are able to promote the Pocono Mountains region online, in print and via social media. This is not possible without the support of the community and we hope you will continue to participate as in the past four years.